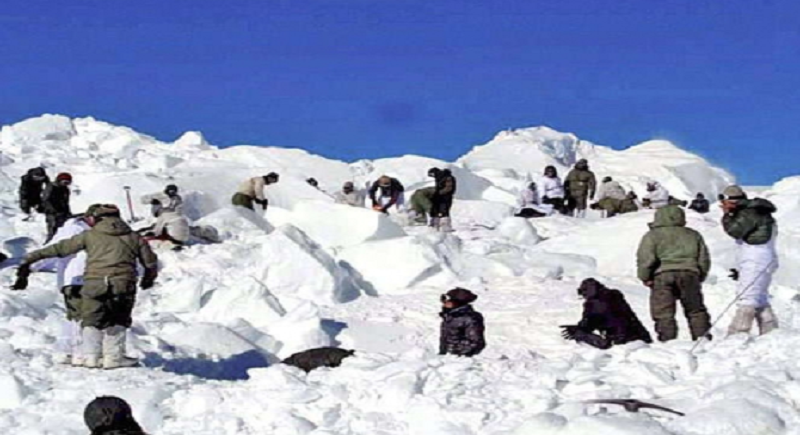 Shimla, February 6: Authorities issued an avalanche warning for five districts of Himachal Pradesh. The Snow and & Avalanche Study Establishment (SASE), Manali had issued a warning to various parts of Chamba, Lahaul-Spiti, Shimla, Kinnaur, and Kullu districts, where heavy snowfall is expected in the coming days. Himachal Pradesh state disaster management authority has issued an advisory for departments and the general public. The authority has asked the district administrations and district disaster management authorities to monitor the situation in their areas regularly and take appropriate precautionary measures. They have been further directed to convey bad weather warning to all grass-root functionaries and local residents, advising the tourists and local people not to venture in snowbound areas. A spokesperson of the state government said here today the district administration and district disaster management authorities (DDMAs) have been advised to keep a close watch and monitor the situation in their areas regularly and take appropriate precautionary measures. Authorities have been directed to keep search and rescue teams on standby and avoiding movement on slopes where avalanche warning has been issued.